Dering Harbor Real Estate is located right on the water at the Dering Harbor Marina on Bridge Street. ItÂ’s a beautiful five minute walk from the North Ferry or we will be happy to pick you up when you arrive. You can also come by boat and dock at our office! Click on the links for directions via land, rail, water and air. How will you be traveling? 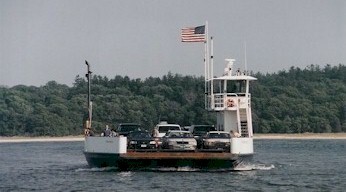 From Connecticut/New England to Orient - Cross Sound Ferry, Inc.